Dr Sara Hourani is a Lecturer at the School of Law, Middlesex University London. 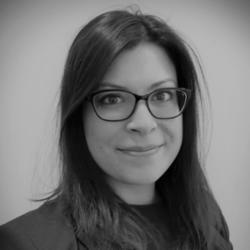 Sara holds an LLB degree from Grenoble II University (France), an LLM in International Trade Law and a PhD in Law from the University of Essex (UK). Sara was granted the prestigious Arts and Humanities Research Council (AHRC) PhD scholarship to pursue her doctoral studies and has been the recipient of different grants and awards to carry out her research. Namely, Sara was a John W Kluge Scholar at the Library of Congress in Washington DC which was funded by the AHRC to carry out research in international commercial law. Before joining Middlesex, Sara previously held a Lectureship in Law at the Law Department and Centre for Intellectual Property and Management (CIPPM) at Bournemouth University. Sara is a Fellow of the Higher Education Academy. Sara’s research interests are in the areas of international arbitration and international commercial law. More recently, Sara’s work has been focusing on the use of new technologies in online dispute resolution and online arbitration. This work has been presented in various fora such as Yale Law School, the Istanbul International Law Congress, the 7th Journal of Private International Law Conference and the Paris Chamber of International Arbitration (CAIP). Outside academia, Sara has provided legal consultancies on matters relating to international arbitration, commercial law, investment law and construction law to law firms and leading NGOs. Sara is fluent in English, Arabic, French and Romanian.